Athletes strive for excellence in everything they do. In their pursuit for greatness, they can now put their best foot forward by controlling sweat, odor and moisture 2 ways with the ARM&HAMMER™ Foot Care Invisible Foot Spray Powder and Shoe Refresher Spray. Leave all doubts, distress or discomfort at the door, because the ARM&HAMMER™ Foot Care Invisible Foot Spray Powder will deliver all day freshness without leaving any messy, white residue on the body, clothing or shoes. 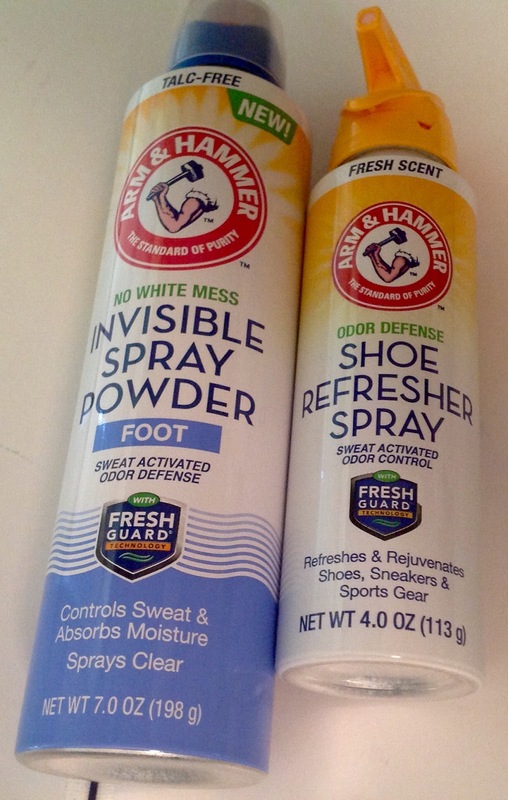 The ARM&HAMMER™ Foot Care Shoe Refresher Spray will tackle even the funkiest of footwear odor in shoes, sneakers or sports gear, so you can look and feel your best. The ARM&HAMMER™ Foot Care Invisible Foot Care Collection is currently available in the foot care aisle at Walmart.